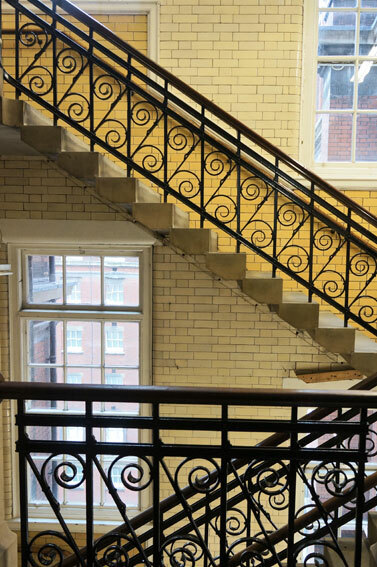 The Clothworkers’ Centre is V&A museum’s space dedicated to study and conservation of Textiles and Fashion. 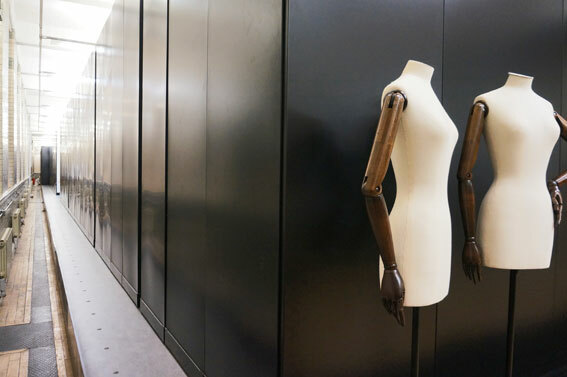 The V&A holds one of the most important collections of textiles and fashion in the world, ranging from archaeological textiles to contemporary haute couture. It spans a period of more than 5000 years, from Predynastic Egypt to the present day. The collection is one of the world’s largest and the most wide-ranging. 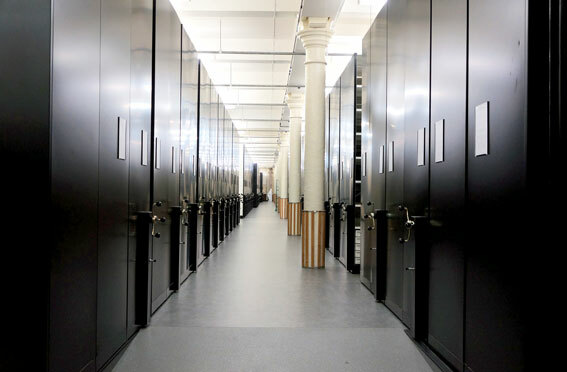 There are more than 104,000 objects in the 100-metre-long main storage room. The scale of the building is enormous and it is hard to grasp how huge it is. To put it in perspective: it takes on average 1.5 hours to find 6-10 objects for one visitor to study exhibit pieces, and another 1.5 hours to put them back in place. Astonishingly, the service is free for anyone with a personal interest to make an appointment to study collection pieces. The centre is situated in Blythe House, a grade II listed building from 1890. It has been carefully renovated by Haworth Tompkins architects during five years of restoration and modernisation, opening to visitors late last year. 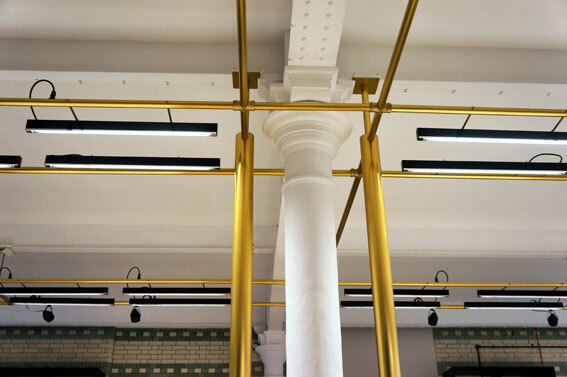 The restoration has succeeded in keeping the original character of the building with an industrial, austere feel intact. Throughout the rooms it is easy to see what is original and what is new. The study room brief was to create a more intimate area; “a working studio rather than an exhibition room or a curated space. The study room area was to have a formal grandeur and scale similar to a reading room in a Library or a salon in a fashion house”. This has been achieved very successfully. It is worth a visit just to see the massive custom-built storage alone. There is a certain seriousness in the air and the talk from the visitor centre experts proves that taking care of the partly fragile collection is an artform on its own. To remove the collection from the main V&A building to a space. that can provide the right conditions for keeping it intact was the only solution to keep the collection “alive” for future generations.